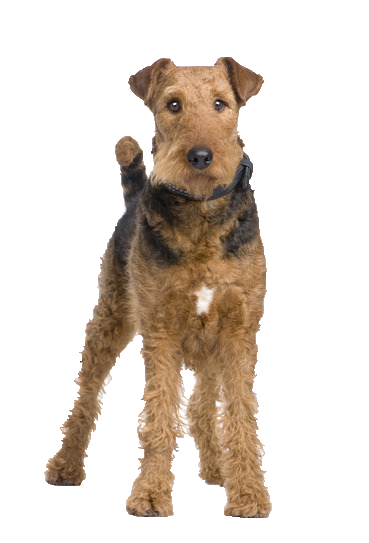 Your Airedale is a terrier of courage, fiercely independent and intelligent who requires firm boundaries and a training routine with good socialisation with children and other animals. If this is done, your Airedale will be a good family pet being tolerant to young children. He is generally a quiet and dignified dog, loyal and has a protective instinct. His energy means he requires a lot of exercise with as much play and stimulation as possible. Chelsea Dogs has a great variety of activity toys to help keep your Airedale happy.